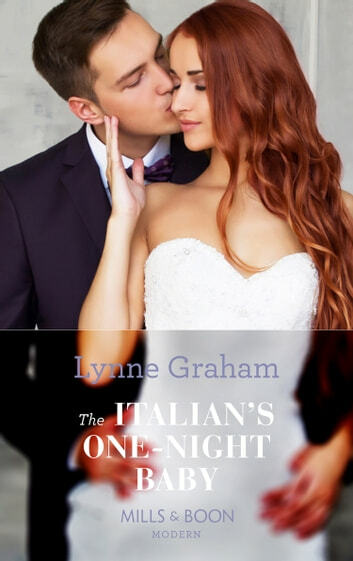 The Italian’s one night baby is the second book of Lynne Graham's Brides for the Taking trilogy which are based on three sisters who are all linked by letters left by their late mother enclosing details of their biological fathers and a significant ring which connects each daughter to their father. The first book tells the story of Polly the eldest sister who meets her match in the desert, the second book picks up on Ellie the middle sister who we meet in Polly's story. Ellie is a dedicated junior doctor, who has put her career before her personal life and therefore has had very limited experience with men. We start the book with Ellie on extended leave in Italy following up on the letter her mother left for her to find her biological father but Rio Benedetti the cynical handsome billionaire, who happens to be the godson of Beppe Sorrentino the man Ellie has come to Italy to speak with, finds her first. The past history between Ellie and Rio means fireworks from the start, there first meeting left a lasting impression on both Rio and Ellie and things only heat up from there, with amazing chemistry, Rio's distrust issues and ex girlfriends making an appearance Ms Graham has written another outstanding story although perhaps it was just me who was left wanting more but i felt there was scope to expand the characters further. Although a trilogy you can read each book as standalone and still enjoy, I will say Ms Graham is one of my favourite authors and this book doesn't change my opinion in fact I am even more looking forward to the third story in the trilogy as we finally meet and learn the background of the third sister Lucy, who is the most mysterious and has never met her sisters… Fyi I received my copy from NetGalley and Mills and Boon via Mills and Boon Insiders, although this does not influence my opinions.